Kathmandu,Sept 11: Newars, who reportedly came to Kathmandu Valley in the thirteenth century, are considered the ‘original inhabitants’ of the capital city. Kathmandu’s cultural identity mostly constitutes various dimensions of Newari tradition. What stands out among these aspects of their culture is architecture. Until a few decades, most houses in core city areas of Kathmandu Valley had a unique architecture. But, such houses are gradually disappearing. Following the 2015 earthquake, the disappearance has become quicker–apparently because the houses have to be modern to become stronger enough for next earthquakes. But, experts say Newari architecture does not necessarily mean weak structures which have to be replaced for earthquake resistance. Instead, they stress its conservation so as to retain every aspect of the Valley’s centuries-long culture. “After the earthquake, the house which I lived in came down. We barely made it out alive. We don’t want to build it the old way because its weak and I don’t want my children to go through the trauma again,” adds Kumar Shakya, a resident of Thaiba in Lalitpur. The earthquake gave people like Shakya a perception that traditional Newari houses aren’t safe. But, for Pravin Chitrakar, an engineer and Creative Director at Yala Mandala, most houses fell not because they were weak, but because they were not maintained properly. According to Chitrakar, the Newari architecture is a gift of rich Newari civilisation; hence it has to be conserved well. Why Are These Building Weak? Another reason for such weaknesses he argues is the use of mud mortars in these buildings. “These mud mortars in a few years separate from the bricks, which then act like two different entities and because of that the walls become weak. It makes the houses quite vulnerable during big earthquakes,” he continues. Why Do People Opt For New Buildings? Chitrakar believes that people stopped making these houses for other reasons than earthquakes. An example of that can be seen in the old Newari town of Bungamati, south of Patan. Once full of old traditional houses, the town hardly has any such house now. One of the reasons that happened was the earthquake; but for most, it’s about showing the society that they are well off too. Shrestha is not the only one who has done this. The entire landscape of the Valley has changed in the last decade. Old pictures that emerge on social media are proof of that. The thatched roofs have been replaced with concrete houses. He has got a point. If one has the option between making an old house and a new RC house, they prefer to make a new one. “The modern buildings are extremely practical and as an engineer, I am never going to recommend people to build old style houses. RC buildings are more ductile, which during major earthquakes have more chances of standing compared to masonry buildings,” adds Gautam. So Why Protect Old Houses? “We are very proud of about how many tourists visit us in a year, but do we think about why they visit us,” asks Ranjitkar. “They come here to see our culture and heritage which includes these buildings and that is the main reason we need to save them for future,” he adds. He says that the need to have these buildings especially around heritage zones is important because these houses complement the palaces and temples around the area. Local are gradually learning to understand this, according to him. 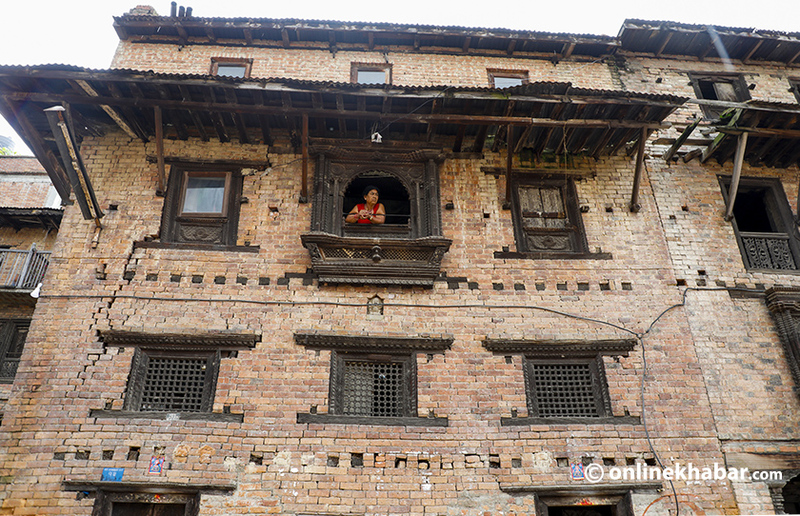 “We can see that many B&B’s have opened at such houses around Patan, which means that the people are aware that tourists like these old houses. They are now aware that old houses also generate money which is an important factor when it comes to the conservation and protection of these old buildings,” adds Chitrakar. So How To Protect Old Houses? 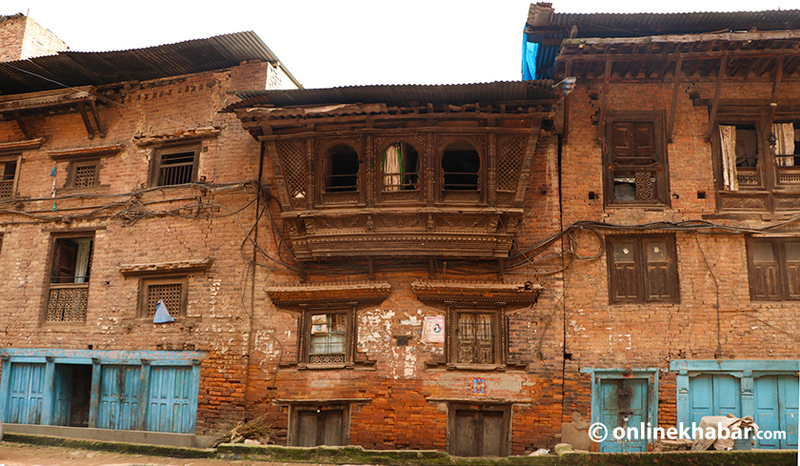 The old houses are part of Kathmandu’s cultural heritage. It is something that tourists from all over the world come to see, which is why there is a need to protect them. But how can we do that? Apart from retrofitting, he shares that the use of mortar can be improved too. “I don’t say that one has to build these houses using cement. You can use mortar to build them, but we have to select good mud while doing so. We’ve seen many people use black clay while building houses, which we don’t prefer. Rather than doing that, mixing cow dung can enhance the mortar and make it stronger,” he shares.